February 7, 2011 – Congress has been operating on a short-term Continuing Resolution (CR), which funds all federal programs at last year’s funding levels. 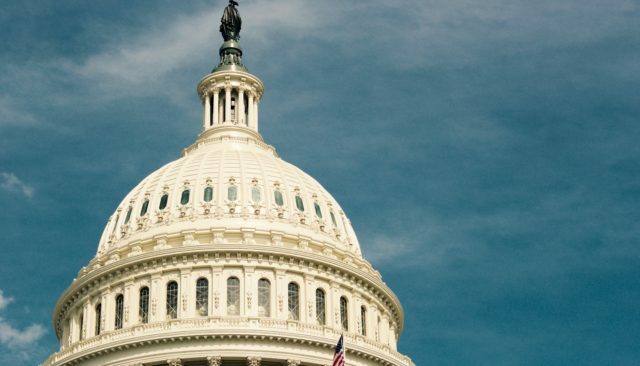 The CR will expire in March, so the House of Representatives is now working on proposed funding levels for all programs through the end of this fiscal year. All federal programs are being considered for cuts, including funding for the Violence Against Women Act (VAWA), the Family Violence Prevention and Services Act (FVPSA) and the Victims of Crime Act (VOCA). As the demand for services continues to far outstrip available resources, federal funding cuts would further threaten the ability of programs to respond to the needs of victims fleeing life-threatening violence. Federal funds are vital to keep programs open and serve victims in need. Congress needs to hear that domestic violence and sexual assault programs are important to their constituents! Tell your Representative to oppose cuts to these lifesaving programs. Please take five minutes to call your Representative and tell them that this funding is vital and victims’ need them to preserve current funding levels. Call 1-866-997-6651 to reach the Congressional Switchboard and ask them to transfer you to your Representative’s office. To find your Representative, go to www.house.gov and enter your Zip Code in the box in the top left corner of the page. Hello, my name is______, I am a constituent from _________. 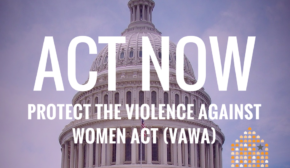 I am calling to urge the Congressman/Congresswoman to preserve current funding for the Violence Against Women Act (VAWA), the Family Violence Prevention and Services Act (FVPSA), and the Victims of Crime Act (VOCA). These laws support lifesaving programs for victims of domestic and sexual violence in our district. The demand for lifesaving domestic and sexual violence services far outpaces available resources. Victims of these crimes are counting on Congress to pass a FY 2011 funding bill that preserves current funding levels for domestic violence and sexual assault programs throughout the country. The House of Representatives’ bill is just the first step in the process. After the House completes its bill, the Senate will work on its version of the funding bill. The House and Senate bills will need to be combined, and then the final bill will be sent to the President for his signature. Your response to this Action Alert is critical to helping the Senate negotiate anticipated House cuts. Watch this space for further alerts as the bill moves through Congress. Please click here for more information on VAWA, FVPSA, and VOCA funding.